I happened upon this amazing conference last year, deep in the trenches with four kids and no sleep and no local homeschool conventions anymore for encouragement and inspiration, there had been one in our city but it has stopped indefinitely. I loved that I could put my kids to bed then log in and listen to the wonderful participants as I wash dishes, folded clothes and drank wine in my PJs! I was so moved by one presenter that I bought her video series explaining in detail how she had done to homeschool her many children with a very strict budget and through periods of severe illness. That series cost me about $30 but ultimately shifted how we school and the tears dried up over-night. If you need a boost, register for free here ( disclaimer: this is an affiliate link, and I will receive a small % of any purchases made, but you don’t need to buy anything to listen to all the great presenters). 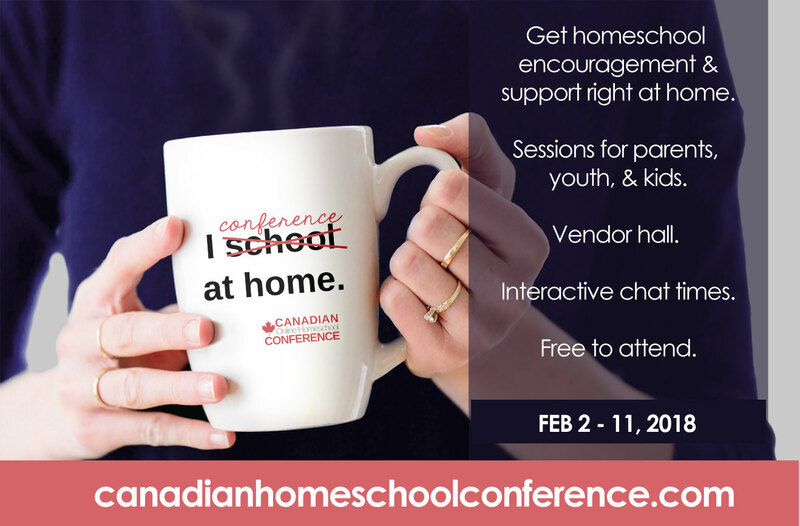 If you are new or struggling with homeschooling right now, I fully recomend the $35CND all access pass that will give you long term access to the presentations as well as oodles of discounts and freebies valued at $120CND. I just know you will love it, go check out what sessions have been lined up. And enjoy the conference from home! Why I’m sending my kid to school. It’s not what you’re thinking.